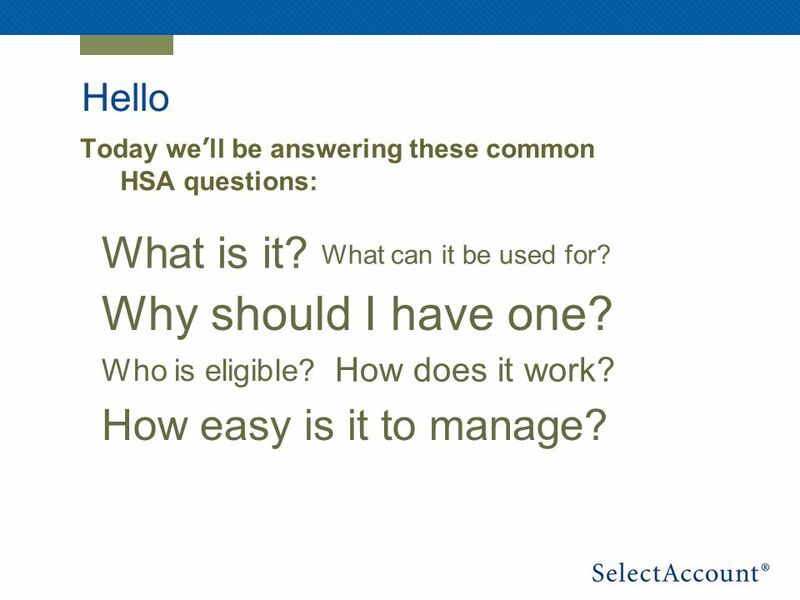 2 Hello Today well be answering these common HSA questions: What is it? What can it be used for? Why should I have one? How does it work? How easy is it to manage? Who is eligible? 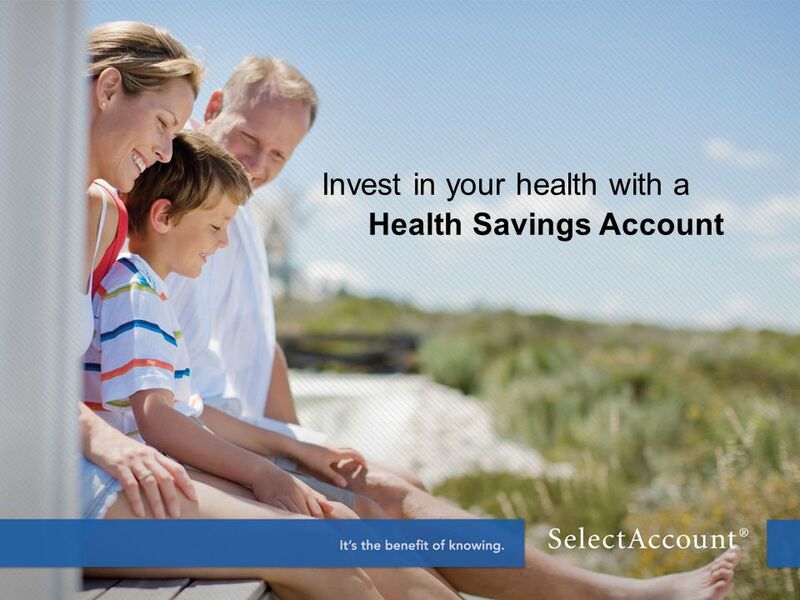 Download ppt "Invest in your health with a Health Savings Account." Using Healthcare and Dependent Care Flexible Spending Accounts An FSA = An Opportunity to Save. Presented By: Your Name Here Your Title Here. Instructions: Find and Replace Delete This Slide Before Presenting Getting Started: Enrollment presentations. 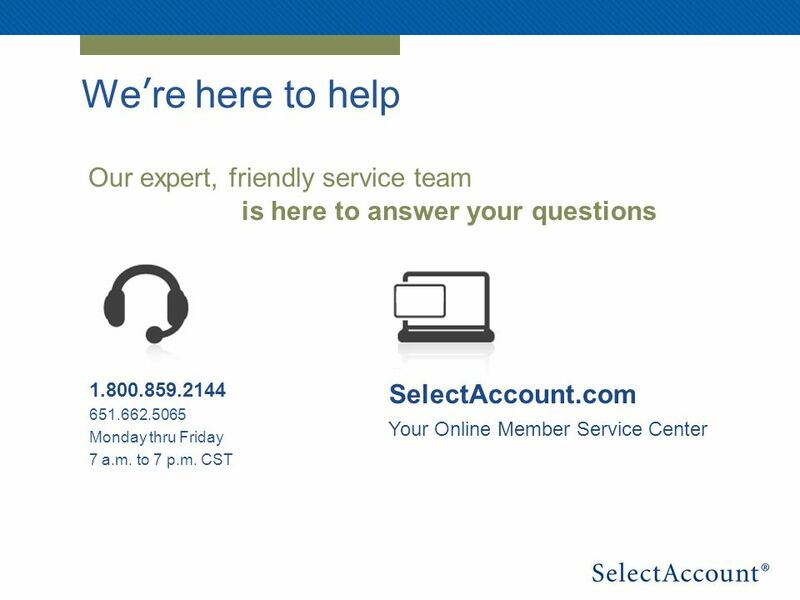 2014 Health Savings Account Meeting June 25, 2014. Medical Reimbursement Flexible Spending Accounts Give Yourself a Raise! 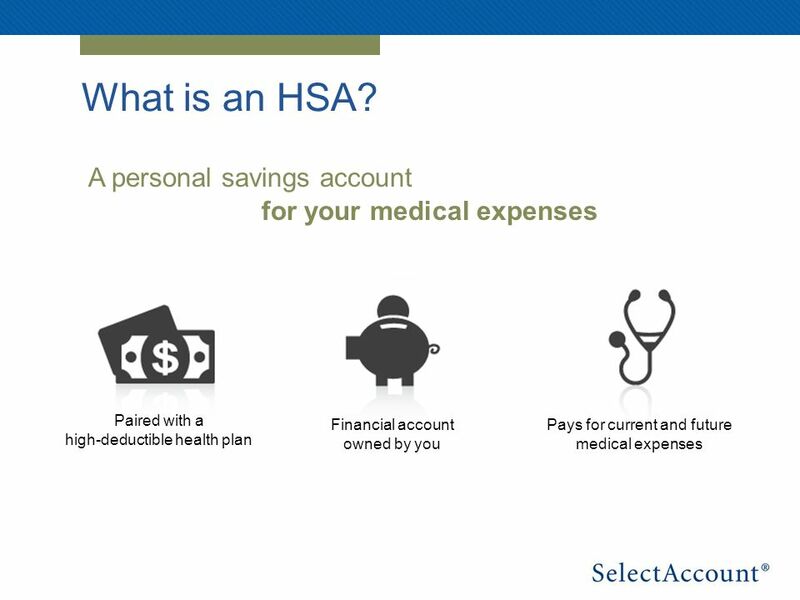 Health Savings Accounts (HSAs) Everything You Need to Know. Presented by: Bobbi Hanigan Union Bank & Trust Company. 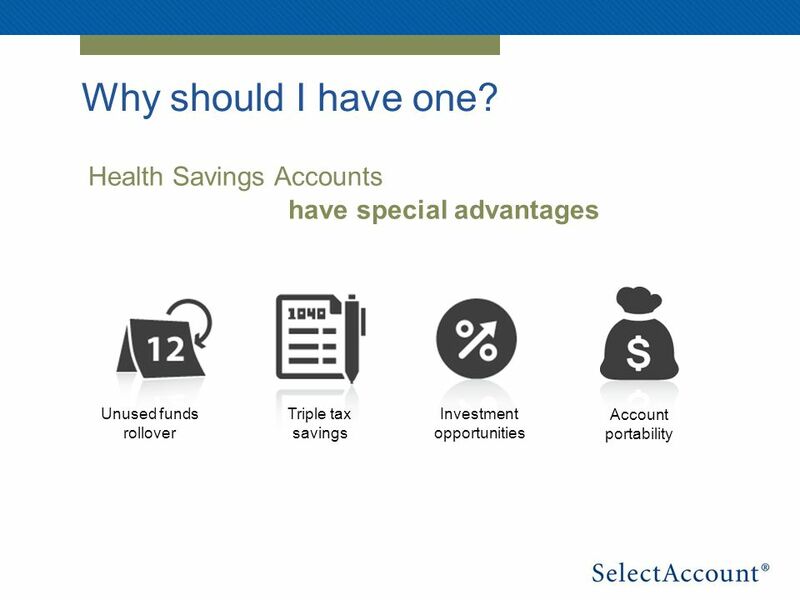 Considering a Health Savings Account? (HSA). 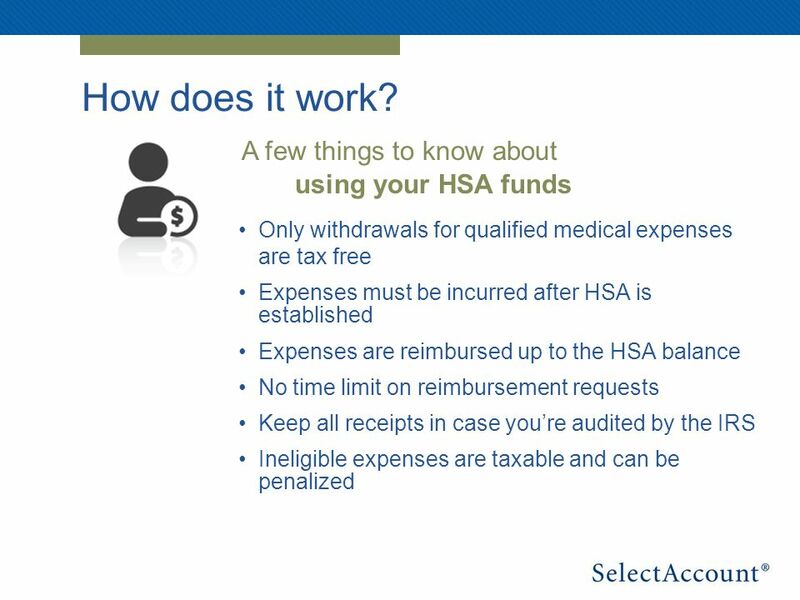 Who is Eligible for an HSA? 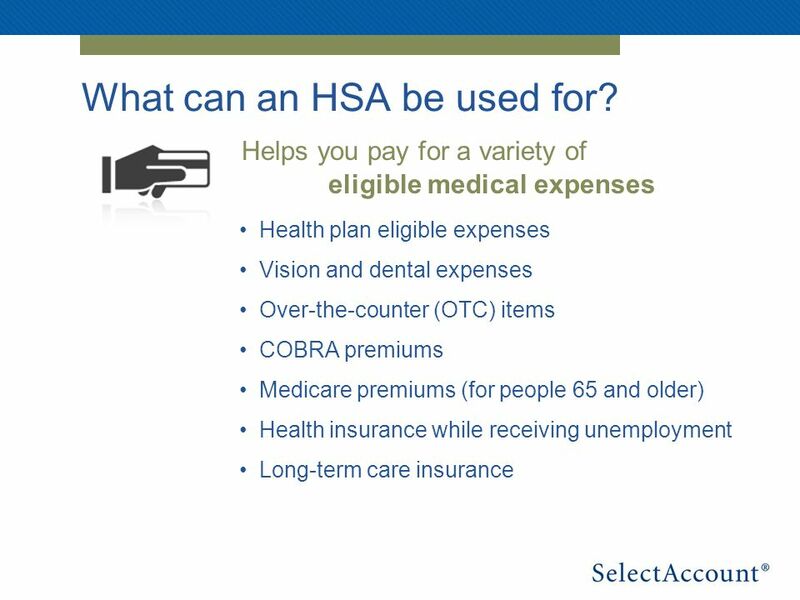 Individuals who are covered by an HSA- compatible health plan are qualified if. 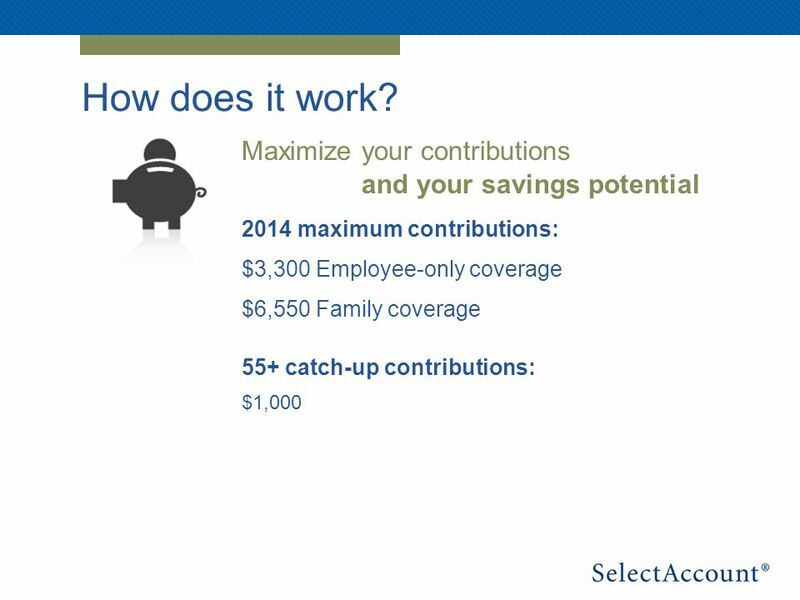 Health Savings Accounts How our plan works and its benefits for employees Presentation Subtitle/Description Presenter’s Name Date. 1 Group Name Plan Year : 1/1/12-12/31/12. Find and Replace (Delete Slide before Presenting) Getting Started: Enrollment presentations can be shown to. 1 Considering a Health Savings Account? (HSA). 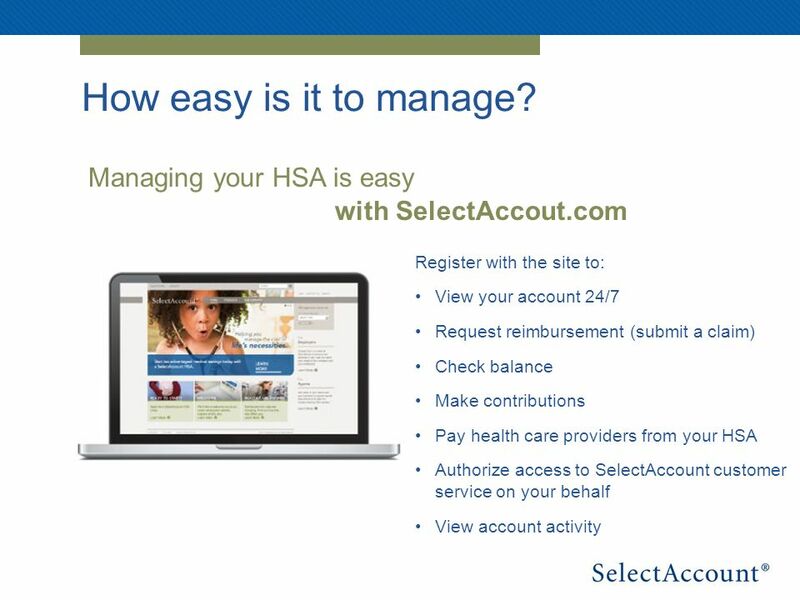 2 Who is Eligible for an HSA? Not covered by any other non HSA-compatible health plan Not claimed as a. 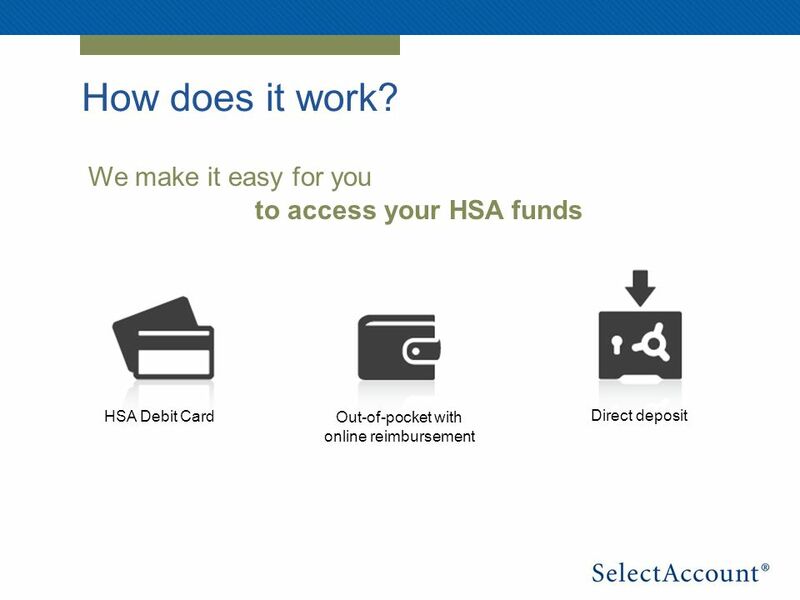 Find out what a health savings account can do for you? 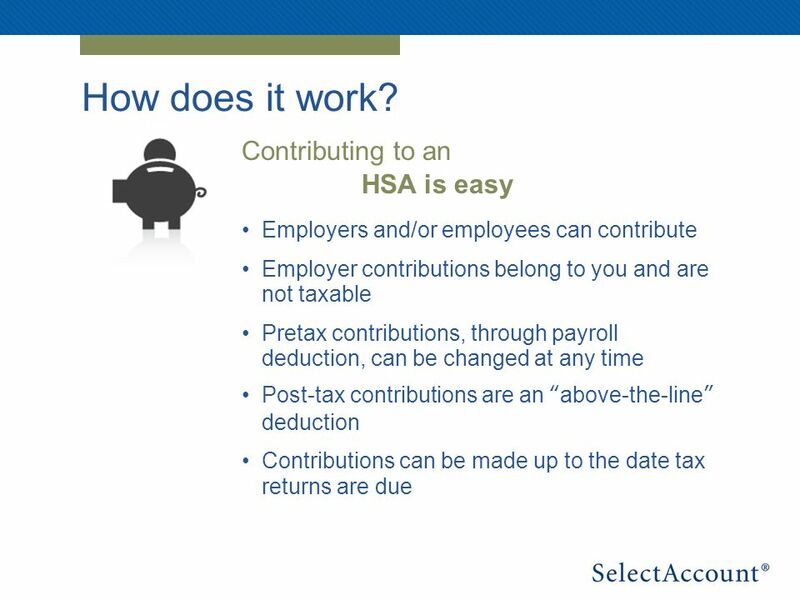 High Deductible Health Plan (HDHP) & Health Savings Account (HSA) Monroe County Community School Corporation 2009 Click here for Audio on each slide.